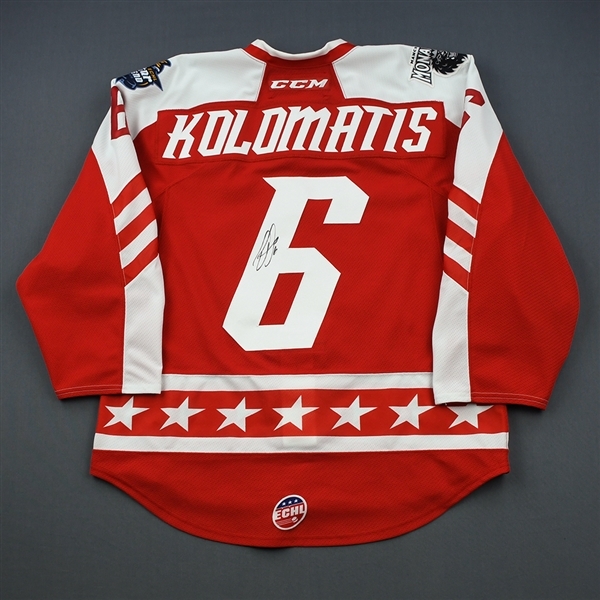 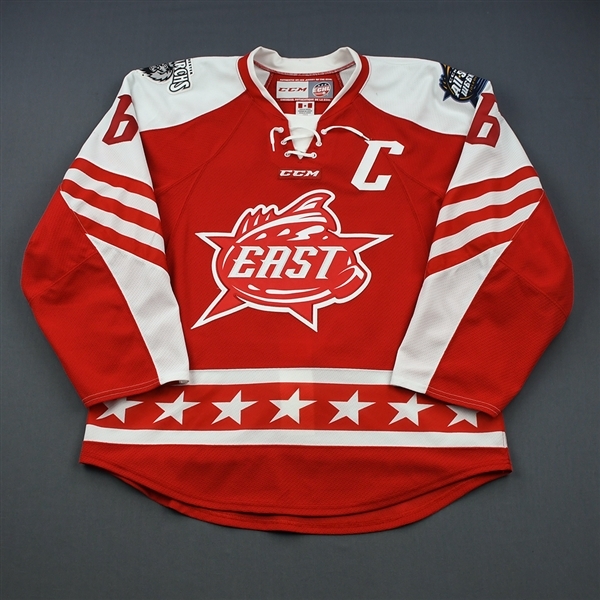 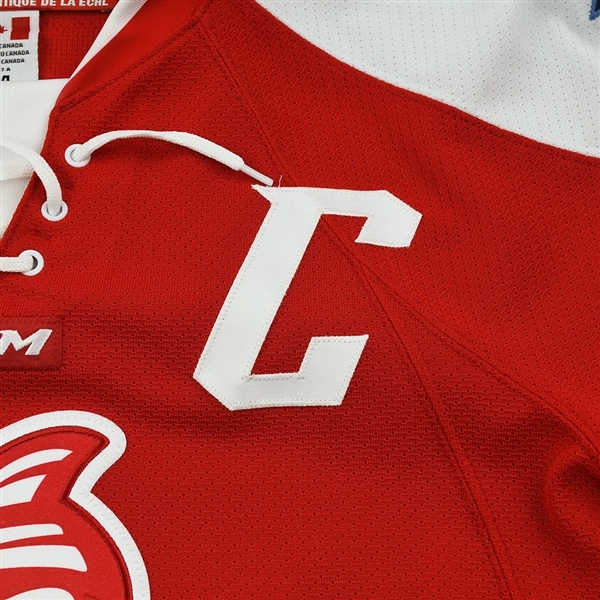 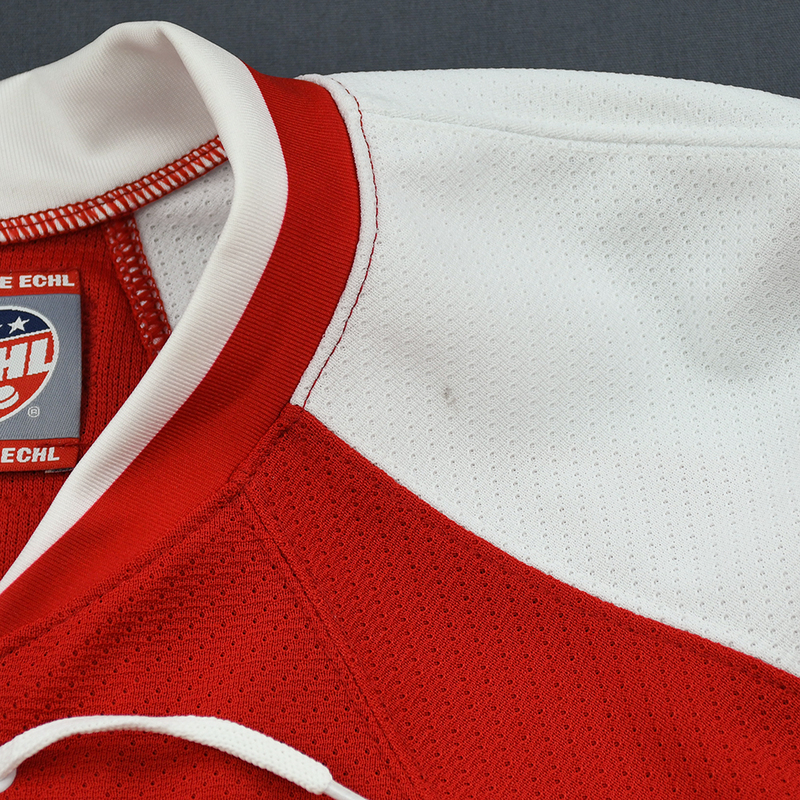 Here is your chance to bid on the Eastern Conference All-Star Game jersey worn by #24 David Kolomatis of the Manchester Monarchs during Round 1, Round-Robin, Games 1,4,5 of the 2019 CCM/ECHL All-Star Classic at Huntington Center in Toledo, Ohio. 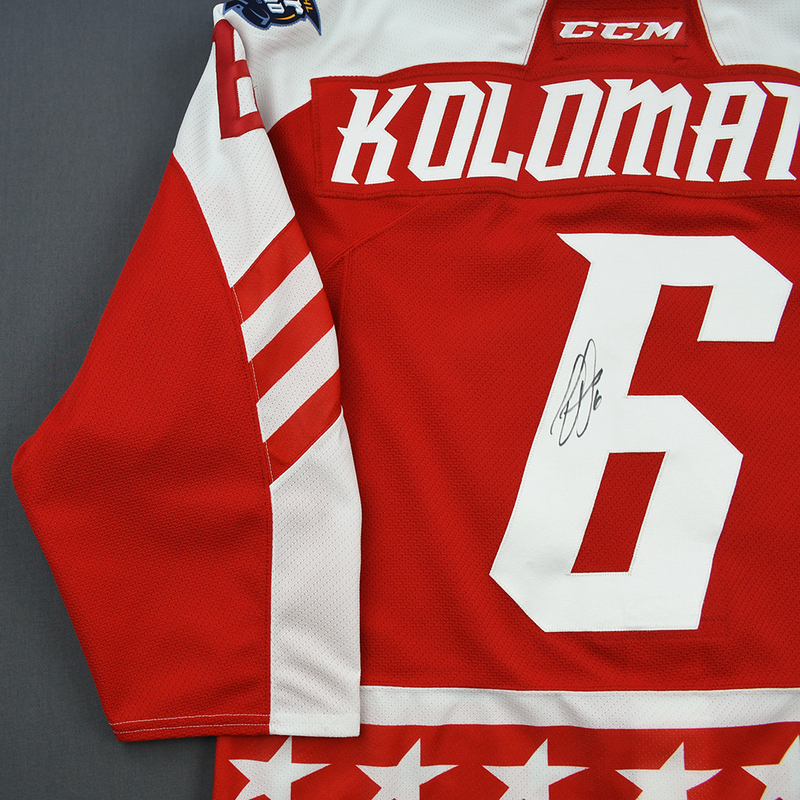 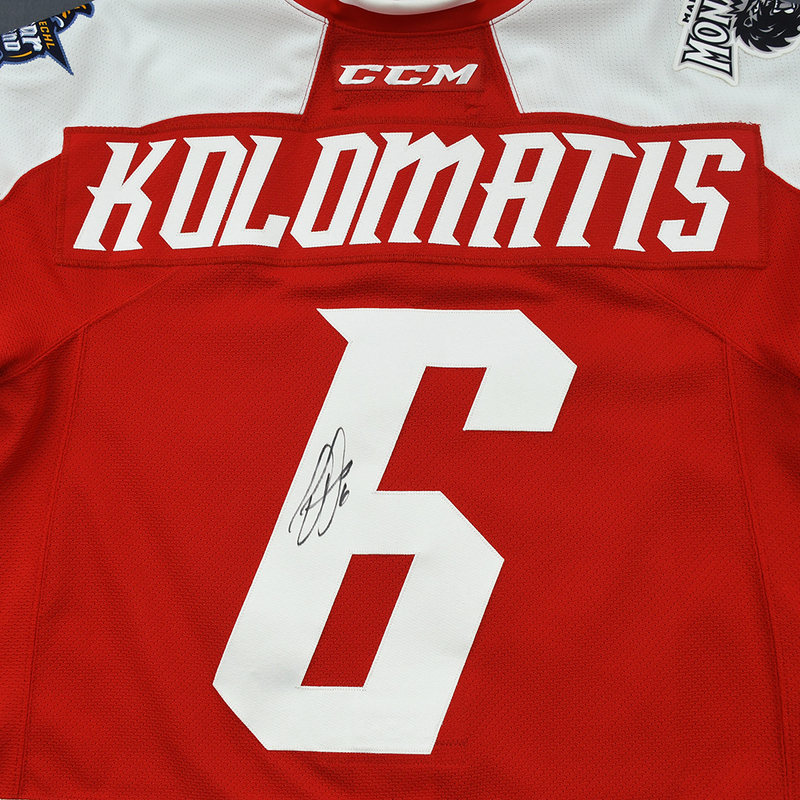 The jersey was autographed by Kolomatis after he wore it. 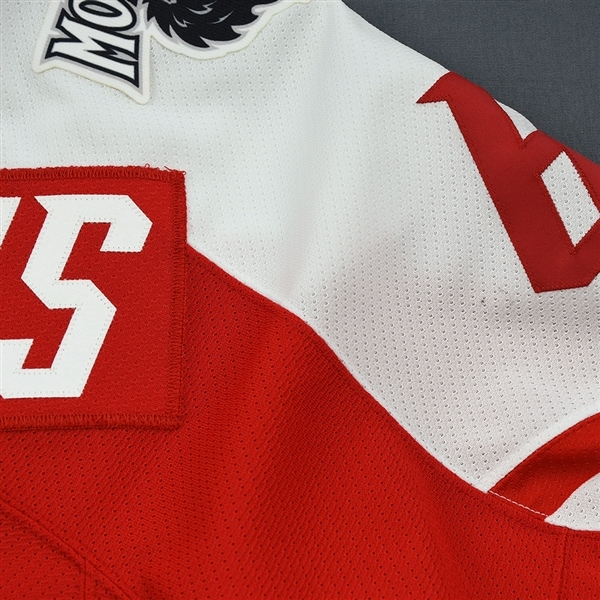 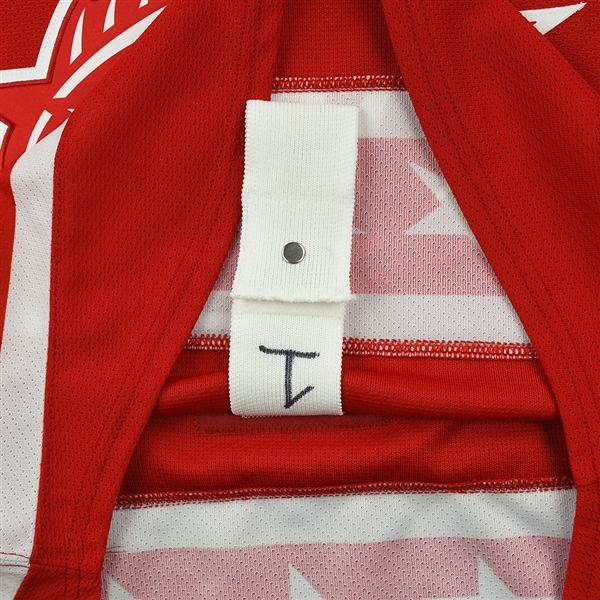 The one pair of numbered socks Kolomatis wore throughout the All-Star Game will be included with the jersey.